Historical Tapestry: HT Recommends: In search of Henrys! HT Recommends: In search of Henrys! Ever since reading Sharon Kay Penman's trilogy on Henry II, I have made it my mission to read about England starting with William the Conqueror to Richard III. However, after finishing "Within the Fetterlock", I am now stuck. I need some recommenations on books dealing with Henry IV, Henry V, and Henry VI please! 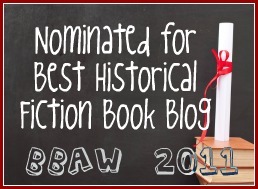 I prefer historical fiction, but right now I'd settle for just about anything. I have spent the last two days looking on amazon.con and all I came up with was The Star of Lancaste by Jean Plaidy and Crown In Candlelight by Rosemary Jarmon. Please oh please help! Special thanks to Historicalnovels.info, and to the extremely knowledgeable folk at Historicalfictiononline.com who I turned to when I couldn't find much in the way of books on these three kings! Does anyone have any other recommendations for Brenna? 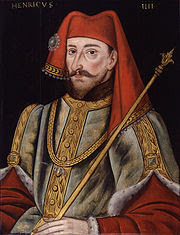 Image of Henry IV from Wikipedia. Owen Glendower by John Cowper Powys. This is a 'heavy' read and will not appeal to everyone. My Lord John by Georgette Heyer. This is an uncompleted work about John, Duke of Bedford. The Heron's Catch by Susan Curran. Henry VI era and very good. try The Fears of Henry IV by Ian Mortimer. Very pro-Henry though! I've tried My Lord John by Heyer, but couldn't get into it, though I mean to try again one day! Katherine by Anya Seyton may have some information about Henry IV and V in it but not a lot. There is another I read (besides Bloody Field) about Henry IV and V but I can't think of what they were...maybe the Plaidy ones: Passage to Pontefract and Star of Lancaster. As for Henry VI, Plaidy has one called The Red Rose of Anjou which is about his wife. He of course comes up in books about Edward IV (Penman's Sunne in Splendour along with Plaidy's of the same name.). Thank you everyone for your suggestions. I've added what I could to my reading list. I haven't enjoyed Jean Plaidy's books as much as others mainly because Sharon is such a brilliant writer, it is hard to fill her shoes. Thank you again! Check out Bernard Cornwell's newest: Agincourt. The main character is an English archer who joins Henry V in his quest to claim the French crown. It all comes down at the Battle of Agincourt. Lots of blood and guts, but also trademark Cornwell attention to historical details and atmosphere.